After in talks for years, finally I managed to visit Dono, one of my old friend from Andersen. Living in Hazel Grove (near Manchester) with her wife, Lusi, and their tree children, Dono picked us up in Stockport station, and brought us to his home, where we will spend a night with them. 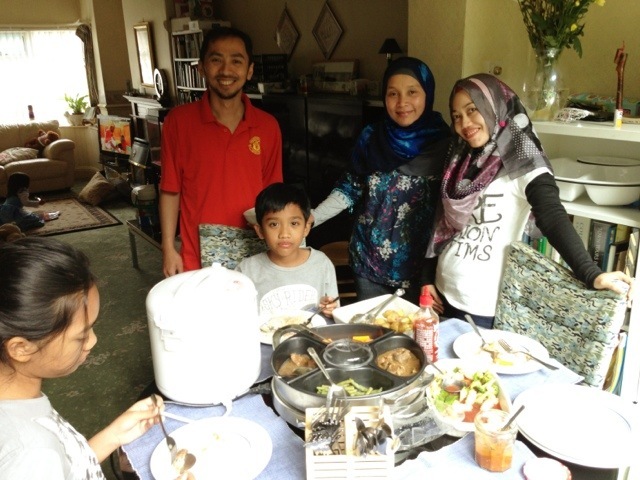 Arrived at home, he and Lusi served us with Indonesian food and sambal. Such a delicious taste from our country, which our family missed even though we’ve just been away for 5 days! Thanks a lot Dono and Lusi for your kind hospitality! Previous Post Off to Manchester!